Happy October! Here in Michigan the weather has definitely turned more fall like and the leaves are changing color, so that mean that Halloween is just around the corner. All of the challenges this month on Catherine & Cathy Create will be sure to get you in the Halloween spirit! 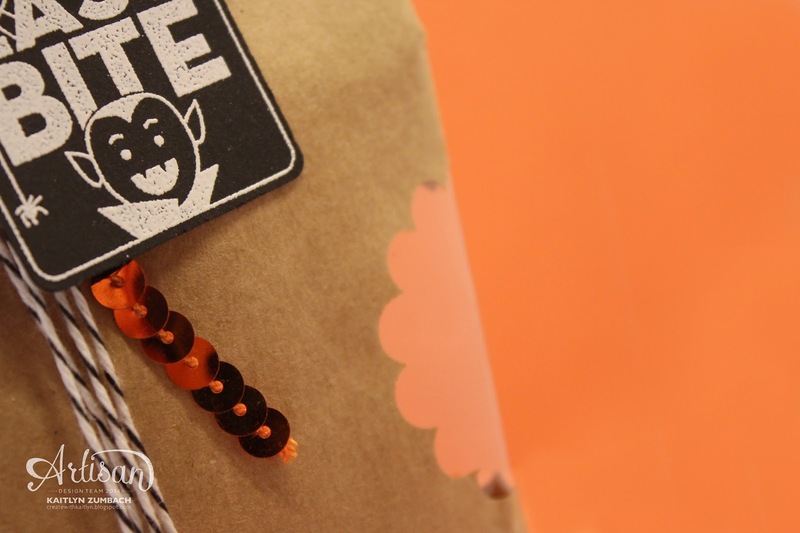 My favorite part about Halloween is making cute little packages for treats, so I went right for the Petite Cafe Gift Bags for this month's challenge! 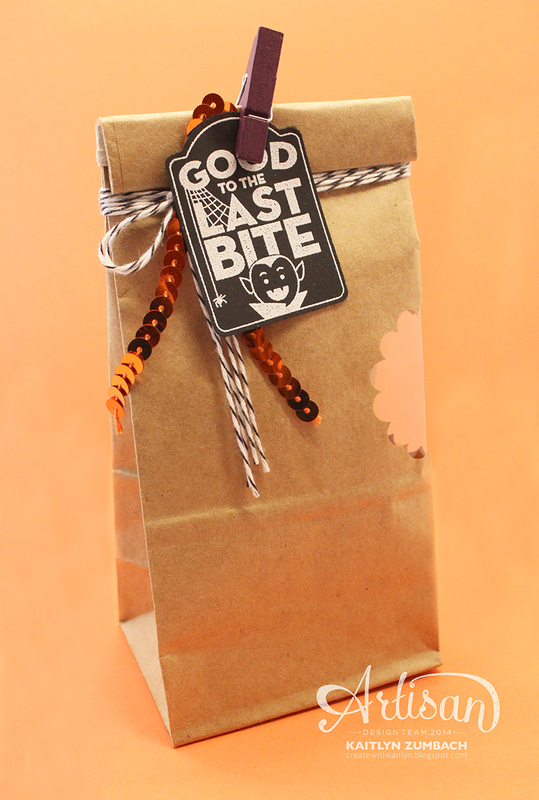 These bags are great for food because they are lined, and they are super easy to decorate! I just wrapped some Basic Black Baker's Twine around it several times and tied in in a pretty bow. The other pieces are held in place with an adorable Blackberry Bliss Clothes Pin. I am kinda in love with that orange sequins from the September Paper Pumpkin Kit! I think the saying "Good to the Last Bite" from the Merry Everything stamp set is super cute for Halloween! So, I went ahead and took a "bite" out of the bag with my 1-3/4" Scallop Circle Punch. So cute! Just add a little piece of a Window Sheet behind the hole so none of the treats fall out. Head on over to Catherine & Cathy Create for some more Halloween inspiration! Be sure to join the challenge yourself for the chance to win some prizes!